Since it's the weekend, we thought you might have time to enjoy this animated treat, Edgar the Cat by Rodrigo D. Ricci, an artist we've been working with here at downthetubes on other projects. The music is by his brother. This is the first single inspired by Rodrigo's cult comic strip Ligeia the Vampire: although busy with movie storyboard work, he's currently working on a new six-page strip, "Steel Graves". St during the second world war, it centres on a group of soldiers who commited a horrible war crime. For this act, they receive a terrible curse. The question asked - who is more evil: Humanity or the Creatures of the Night? TimeBomb's "Bomb Scares" set to disturb minds! Leicester-basd British indie TimeBomb Comics has launched Bomb Scares, their first horror anthology collection. Best described as "disturbing horror in a twisted vein" this 56 page one-shot features 10 stories by 18 talented creators from across the globe: Shane Oakley, Gary Crutchley, Richmond Clements, John Cahill, Alec Robertson, Montos, Scott Mitchell, Gordon Robertson, MC Carper, Jonathan Darque, Rachele Aragno, Chris Young, Katja Lindblom, GM Jordan, Anglada Kamarasa, Dino Caruso, Andrew Dodd and Steve Tanner. "From zombies to curses, mind terrors to body horror, Bomb Scares presents a horror anthology that really is not for the faint-hearted," says Steve. • Bomb Scares is available now from TimeBomb's online shop priced £4.00/$5.50 (along with all their other titles). London based comic creator Richy K. Chandler has just launched tempolush.com, a new website showcasing his artwork and comics. downthetubes readers may have seen his work in titles published by Titan, Accent UK and Factor Fiction Press, and can now browse through a variety of small press comics, prints and gifts in the Tempo Lush Shop. Also on the site you can read the online serialisation of Tempo Lush's first comic Delicate Axiom and even check out Richy's musical side projects. PS Publishing has just released details of Tomorrow Revisited: The Complete Frank Hampson Story, scheduled for release in April - the 60th anniversary of Eagle. Written by Alistair Crompton, with art contributions from Don Harley and Andrew Skilleter, the book charts the life and work of Dan Dare creator Frank Hampson, published to coincide with the sixtieth anniversary of the launch of Eagle. But this is more than a plain biography: the book is simply crammed to the gunnels with superb examples of Hampson's best work, printed in full colour from original art boards, so you can see all the amazing detail and painstaking backgrounds Hampson was so good at creating. 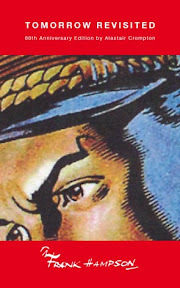 Along with plenty on Dan Dare, also featured is information on seven other strip cartoon characters, intended for Eagle, available in print for the first time, together with backgrounds of how they were drawn and some of the intended story-lines. Tomorrow Revisited, which will cost £29.99, also contains sketches from Hampson's notebooks, and some of the many hundreds of photos he took to help him create his strips. In addition to the regular release, a slipcased limited edition (£69.99) is also being produced as a cloth bound hardback full colour book; and a deluxe leather bound hard back edition (Limited to 100 copies, priced at £295.00) housed in a leather bound Presentation Case, which comes with a certificate of limited availability signed by Alistair Crompton, Andrew Skilleter and Don Harley; a unique original illustration by legendary Eagle artist Don Harley; and a Frank Hampson illustrated Homage by Andrew Skilleter. • Until April 2010, the bookshop version of Tomorrow Revisited: The Complete Frank Hampson Story is on offer at 10% off. UK TV channel Watch has teamed up with Titan Magazines to offer an exclusive Torchwood online comic. Drawn by ace comic artist Brian Williamson and written by Oli Smith, the story is set at Pontyvale Golf Club, where the post-Christmas reopening hasn’t gone well thanks to some grisly killings... The site has been closed off, and Torchwood’s Captain Jack, Gwen and Lanto investigate. 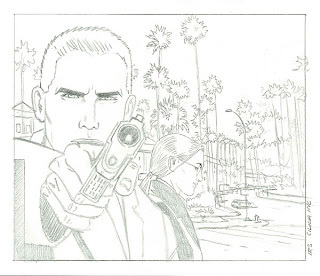 But they soon come face to face with the cause of the killings – and it’s not pretty! Available to view exclusively at justwatch.co.uk, the strip was designed to celebrate Alien Invasion week on Watch, which offers viewers a bumper week of Doctor Who, Torchwood and Sci Fi movies including Starship Troopers and Terminator 3. The week long alien-inspired extravaganza begins on Saturday 13th February, with the latest Torchwood series, Children of Earth showing every weeknight at 9pm. Also available to view on justwatch.co.uk are a series of interview clips with Captain Jack himself; John Barrowman. Discussing his thoughts on his most recent appearance in Doctor Who, what makes Torchwood stand out and who he’d love to guest star in the series, these exclusive interviews are the icing on the Watch sci-fi cake. The London Book Fair has almost finalised its list of comics events for this year's three day event at Earl's Court in April, with a line up of guests that so far includes Paul Gravett, Helen McCarthy, Emma Hayley, Ian Rankin and Cory Doctorow. Some 23,000 industry professionals attend this trade event, providing publishers with the largest gathering of international literary agents, publishers and publishing suppliers under one roof in the UK for three days. By registering for the event in advance (before Monday 19th April 2010) you can get a discount on the onsite entrance fee, paying just £25 for entrance over the full three days of the fair. The Fair is taking a keener interest in comics and graphics this year, offering a dedicated "Comics Pavillion" which includes Diamond Comics and Highland Books as exhibitors, and a number of seminars that should certainly interest comics publishers and creators. There will also be opportunities to watch celebrated illustrators creating new work live in the ‘studio’, but we don't have details on just who will be involved in that just yet. This seminar will focus on how showcase and display Comics, Manga & Graphic Novels in bookshops and libraries. We will count on the presence of different booksellers and librarians that will share his experience and will tell the audience their secrets and experiences: from the different categories and genres to the creation of innovative activities involving reluctant readers. After a record-busting year in 2008, the Graphic Novel & Manga markets appear to be living a second Golden Age. Join the discussion led by pioneer editor Emma Hayley on the future of one of the most vibrant and innovative sectors of the publishing industry. With the debut of the iPad in March (in the US, anyway), this event is sure to command a lot of attention. The Graphic Novel and Manga universes have been invaluable cornerstones of popular culture in the 20th century in many countries across the globe. The panel, formed by leading industry experts, will introduce France, Italy and Spain as clear examples of how this wing of the publishing industry has created for itself a high added-value cross-generational market in Europe. Join the seminar to learn more about the origins, present landscape and future potential of this recession-proof international industry. Forbidden Planet has just announced a signing by Pat Mills and artist Clint Langley to mark the publication of ABC Warriors: The Volgan War Volume 2 at the Forbidden Planet Megastore, 179 Shaftesbury Avenue, London, WC2H 8JR, on Saturday 27th February 1 – 2pm. The Meknificent Seven are ever-closer to retrieving their comrade Zippo from Marineris, ‘the ugliest city in the galaxy’; Deadlock and Blackblood recount dark tales from their involvement in the Volgan War. And, whilst past secrets create new hostilities within the team, an ex-ABC Warrior nursing a big grudge commits the ultimate act of betrayal! Pat Mills remains best known, for many British comics fans, as the creator and first editor of 2000AD. He developed Judge Dredd and is the writer-creator of many of its most popular stories such as Nemesis the Warlock, Sláine and ABC Warriors. He created – with John Wagner – Battle Weekly, birthplace of Charley's War, and Marshal Law with League of Extraordinary Gentlemen artist Kevin O'Neill. He's also written Doctor Who audio plays for Big Finish and continues working on his best-selling French graphic novel series Requiem, Vampire Knight. Clint Langley started his career in the 1990’s. His images can be seen worldwide in comics, on novel covers and in the conceptual design for advertising and films. His first comic strip work was Dynosty, which appeared in 2000AD. He’s since worked on various comic strips such as Slaine, Judge Dredd and Warhammer. 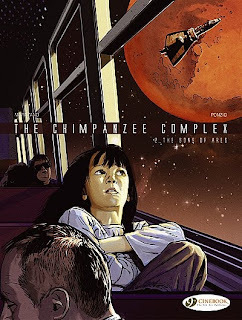 Cinebook's The Chimpanzee Complex trilogy began with Paradox which was reviewed here and now continues with The Sons Of Ares. 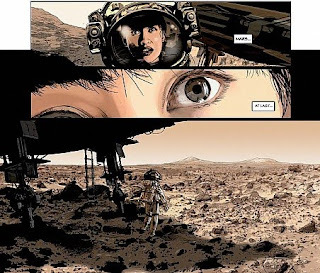 Set in our Solar System in 2035, writer Richard Marazano and artist Jean-Michel Ponzio tell the story of an astronaut mother, Helen Freeman, who's mission of discovery makes her more and more remote from her 10 year old daughter Sofia. As the second part of the ongoing story, it is difficult to say much about the plot without giving away too much, suffice to say that there was more happening in the Cold War space programmes of the 1960s and 1970s that was made public knowledge. This information took Freeman and her crew to the Moon in the first book and now takes them to Mars in the second in an attempt to discover what, if anything, really happened on the red planet some 50 years beforehand. With their spaceship over Mars on the cover and with Ares (the Greek name of the god the Romans called Mars) in the title, it should not be too much of a spoiler that the action has moved away from the Earth and the Moon. The discoveries that the astronauts make on the Martian surface set the scene for the final part of the trilogy as writer Marazano moves the storyline somewhat into 2001: A Space Odyssey territory. Artist Ponzio's art is perhaps more obviously photographically based than in the first book but if anything this helps the reality of the near future hardware without becoming distracting. The Sons Of Ares maintains Chimpanzee Complex's thoughtful, if perplexing, storyline and while it cannot be read alone it maintains the high quality of the first book and makes the third book a must buy when it is published later in the year. • More details of The Chimpanzee Complex are available on the Cinebook website. • More details of the original French editions are available, in French, on the Dargaud website. • Cinebook will publish the third and last Chimpanzee Complex book, Civilisation, during the second half of 2010. Former 2000AD Editor Turns "Pill Pusher"
Pill pushing of the fictional kind, of course (what did you think we meant? ), as tomorrow (Wednesday 10th February at 1.45pm) see the broadcast of former Judge Dredd: The Megazine and 2000AD editor David Bishop's first drama commission - an episode of the award-winning serial drama Doctors titled A Pill for Every Ill.
Doctors is, currently, the only UK made soap that gives all of its episodes a title. "It's official," David recently enthused on his blog. "I am a TV drama writer. Now comes the tough part, getting a second commission. Onwards!" In the episode, Doctor Simon Bond (David Sturzaker) finds himself out of his depth when treating a woman with extreme PMS symptoms, while Elise (Hannah Steele) invites Immie (Charlie Clemmow) to spend the night at her house. Meanwhile, Daniel Granger (Matthew Chambers) has to apologise to Zara when his jealousy almost gets the better of him. "I appreciate most people won't be at home to watch the show," David told downthetubes, "but it'll be available on the BBC's iPlayer from late tomorrow afternoon if you felt the urge to have a look. "Personally I think director Seán Gleeson, the cast, crew and production team have done me proud..."
David has had a busy career since his 2000AD days, continuing to write comic strips such as The Phantom and authoring several novels and audio dramas. In 2007, he won the PAGE International Screenwriting Award in the short film category for his script, Danny's Toys. 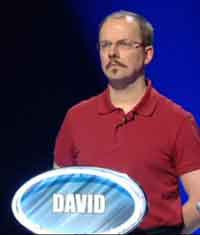 He's even won an episode of The Weakest Link, back in 2008. Last year, he began work as a tutor at Edinburgh's Napier University for its MA in Creative Writing course taken by Sam Kelly. As we previously reported, guest speakers included comics luminaries such as Alan Grant, Mark Millar and Leah Moore. And to think, when he finally gets that much sought-after Doctor Who commission, I can say, "I shared a house with that bloke, once"... Congratulations, David! Here's the first salvo of DC Thomson's Commando title for February 2010, folks! A British mobile canteen. You’d expect it to supply troops with sugar, chocolate, sandwiches or, being British, gallons of tea. You wouldn’t expect it to be the chosen transport of a pair of Aussies bent on vengeance for the murder of their mates. But strange things happen in war, and the story of this mobile canteen is one of the strangest. The Eastern Front, 1944. After a skirmish with some Russians, Sergeant Kurt Sturm’s squad had taken the enemy survivors prisoner, leading them away through an apparently deserted forest. Trapped in an enemy stronghold, SAS corporal Mike King cursed at the RAF Vampire jets flashing overhead. To him there were bloodsuckers in more ways than one — he blamed them for the death of three of his mates. And now, as their rockets crashed around him, it looked like the Vampires were about to add Mike to their tally! Commando No 4270: Too Late for Glory? The war was over but Jimmy Fisher’s Thunderbolt pilots were still dying in battle... All because of a few Japanese pilots who fought on in a fanatical hunt for glory. Jimmy could be a fanatic too, though — as these Japs were about to find out! 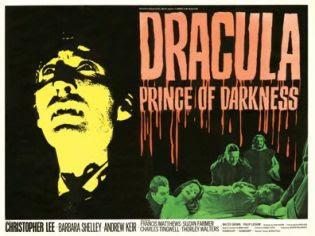 The official Hammer Films website has today launched a new online shop selling items associated with the vintage British film studio. Items for sale include DVDs, books and T-shirts, along with some new reproduction film posters. But that's not the only news from the House of Horror because there's quite a lot happening in the world of Hammer at the moment, including a Hammer exhibition at the Opus Gallery in Newcastle, which runs until 21st February. The 1967 Hammer film The Lost Continent has also just been released on DVD in the UK for the first time and the recent Hammer production Beyond the Rave, which premiered online in 2008, is also available, as a limited edition. Meanwhile, there are new Hammer films in production. Let Me In, a co-production between Hammer and Overture Films, will be released in the US in October. The Resident, starring Christopher Lee, should also debut this year and the company has also acquired rights to the Susan Hill ghost story The Woman in Black. Hot on the heels of what sounds like an amazing SFX Weekender - which included appearances by Tom Baker, Dez Skinn and Paul Cornell and many other top talents - there's a smaller but nonetheless eagerly-anticiapted event next weekend: the Exeter Comic Expo. Taking place on Saturday 13th February at Exeter's Southgate Mercure Hotel, the event - the brainchild of the folk behind the Bristol Comics Expo - has been organised in association with Ace Comics and includes appearances from artist David Lloyd, Mike Ploog, Lee Garbett, Dave Hine and "master of artistic mayhem" Shaky Kane. 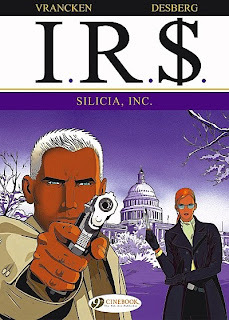 In Review: IR$ - Silicia, Inc.
Larry B Max works for the American Internal Revenue Service investigating the international money laundering of organised crime and as such uses his knowledge of high finance to fight international crime for the US government. In California, Max is investigating the mayor of Monterey for corruption when the deputy mayor’s car is involved in a fatal accident after he had just met with a redheaded woman. Arriving at the Mayor’s residence he finds that the mayor has also been murdered. At the same time, in France, the former president of a far Eastern country is assassinated. It is only at a Senate committee meeting several months later that Max begins to see a connection between these killings and a mysterious company called Silicia, Inc, a company that may be a cover for an assassin. His investigation leads him to the Dutch Caribbean island of Aruba little realising that the redhead that he has only seen fleetingly is one step ahead of him. IR$ is a album series from Lombard Editions that began in 1999 and which is currently on album 11 in France. Silicia Inc, originally published in 2003, is the fifth in the series and was written by Stephen Desberg, who also writes Cinebook’s enjoyable Scorpion series, and illustrated by Bernard Vrancken. Desberg’s plot merges spy action with the political intrigue of a Iran-Contra style money laundering plot while Vrancken’s art is clear and pleasant to look at without being splashy. Cinebook have published the previous four IR$ albums at two per book and so while this is the fifth Cinebook IR$ album it is actually their third IR$ book. While that may suggest to you that it is a complete story in one book, it isn’t. Based on their list of forthcoming releases Cinebook appear to have now settled on the one French album to one English book format for their next batch of publications which standardises the page count and price of their books. While this may leave some of the adventure style books as effectively a ‘part 2’ of a story, this is the way that they were originally published on the continent. Silicia Inc is a part one with the story continuing on into the next IR$ title The Corrupter which is due to be published in April 2010. While this may sound off putting, Silicia, Inc is more than good enough that, having read it, you will want to get The Corrupter to discover just who the mysterious redhead is and how the story concludes. There are more details of the English language versions of IR$ on the Cinebook website. More details of the original French IR$ publications are available (in French) on the Lombard website which also has a selection of the original pencil art from Silicia, Inc. including the earlier version of the cover shown above. The Four Doctors for 2010! Big Finish, the company licenced by the BBC to produce audio dramas based on Doctor Who, have confirmed that they will be releasing a multi-Doctor story in December 2010 entitled The Four Doctors, starring Peter Davison, Colin Baker, Sylvester McCoy and Paul McGann. Doctor Who has a long history of re-uniting the various incarnations of the Doctor in both televised and audio adventures. In the 1970s, William Hartnell, Patrick Troughton and Jon Pertwee came together in The Three Doctors, followed by The Five Doctors in 1983 and The Two Doctors in 1985, which teamed by then-current Doctor Colin Baker with second Doctor Patrick Troughton. In 1993, a 3D multi-Doctor story, Dimensions in Time, formed part of the BBC's Children In Need line-up. When Big Finish launched their Doctor Who range, their first story featured Davison, Colin Baker and McCoy together and, more recently, another Children in Need TV story featured a meeting between Peter Davison and David Tennant. 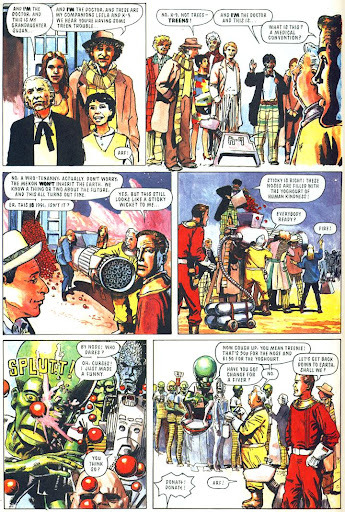 In comics, of course, there have been several meetings of Doctors, including a charity gathering on behalf of Comic Relief that also saw several Doctors encounter Dan Dare and the Mekon, many years ago now. And downthetubes supremo John Freeman teamed up with artist Lee Sullivan to bring us Planet of the Dead, a Seven Doctors story in Doctor Who Magazine. It remains to be seen if we will see another Doctors team-up on the TV for the 50th anniversary in 2013 but, in the meantime, The Four Doctors will be keenly awaited by fans. 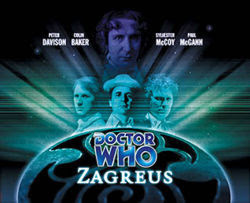 The four Big Finish Doctors have come together before in Zagreus, a 40th anniversay audio story, but on that occasion they did not all play their usual character. This looks like it will be a 'proper' multi-Doctor story, complete with Daleks! There is just one catch - you have to be a Big Finish subscriber to get it! Here is another British comic cover that we wish was real. After last week's cover of Starblazer issue 282 created by artist Graeme Neil Reid (the pencils of which are still available to win in the current Scotch Corner competition) this cover from writer and designer Michael Carroll depicts the first issue of a weekly Judge Dredd comic from the IPC era. 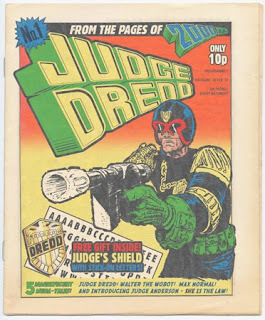 Using a Carlos Ezquerra image of Dredd and the enticement of free gift of a Judge's shield that you could add your own name onto (assuming that it wasn't too long of course), you just know that you would have splashed out 10p to read more Dredd, Walter The Wobot, Max Normal and Psi-Judge Anderson stories. Michael has more cover designs on his site including a picture of a weighty tome entitled Alan Moore: Selected Notes To The Milkman, Volume 1: 1982-1987 - a dig not at the man himself but rather at the dedicated fans who must read everything that Moore has ever written. Michael Carroll will be appearing at the Hi-Ex comics convention in Inverness at the end of March.